New York-One of the myriad topics was what constitutes or defines intervention in Syria. A high-ranking NATO official explained to me at 2 2012 security conference that the Alliance was emphatically not going to get involved militarily in Syria even if the so-called “red lines” set forth by individual member states were crossed time and again. When NATO became deeply involved in the Libyan war, it was under the auspices of protecting civilians as stipulated by UN Security Council Resolution 1973 which outlined the multi-national mission that culminated in Operation Unified Protector. I mentioned at that February conference that I had inadvertently run across a pair of intelligence operatives on atop a cliff on the outskirts of Nalut in western Libya’s Jebel Nafusa/Western Mountains region in August 2011. I presumed the men to be either Central Intelligence Agency officers or former ones who were now for-hire intelligence contractors. They were providing real-time battlefield intelligence while decisive air strikes were being carried out in the then (until 6pm that day to be specific) Qaddafist-controlled towns of Ghazayah and Takut on the stiflingly hot plains down below. With a satellite phone and military grade macro binoculars they were apparently relaying coordinates for air strikes and feedback about the accuracy of previous bombardments. When I confronted the NATO official about this, which to me appeared to be in direct violation of UNSC 1973 as an outside power was clearly taking sides with one of the conflict’s belligerents thereby nullifying the idea of any form of non-partisan negotiated solution with the Qaddafi regime, NATO’s man swiftly countered that member states within the Alliance had undertaken unilateral intelligence missions which were not part of NATO’s mandate nor had its official bureaucratic blessing. Oh, ok, well I guess that wraps my question up neatly, right? BUT…how were the Libyans on the ground, both NTC rebels and Qaddafists, supposed to interpret these elite distinctions made in Brussels, Washington, Doha, London, Paris and Benghazi? 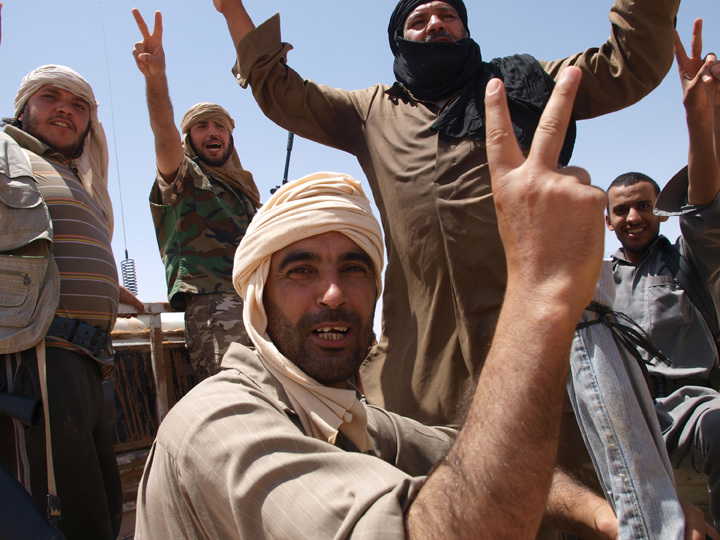 For the Libyans, the CIA and NATO were one in the same, entirely conflated entities. Not to mention perfect fodder for those on the anti-imperialist left and conspiracy theorists in general who cynically assume the overthrow of Mu’ammar Qaddafi was planned long ago at a Bilderberg Group meeting or some such thing. I also want to quickly elaborate on the unraveling of the October 20, 1998 Adana Agreement which was essentially a peace treaty between Turkey and Syria to halt PKK attacks that were being mounted from safe havens on Syrian territory at the time in a vicious proxy dispute over water rights. Hafez al-Assad, near the end of his thirty year reign, sought to improve relations with Turkey and expelled Abdullah “Apo” Ocalan, the PKK’s cult-like leader. (Ocalan was captured in Kenya on the run in 1999 and extradited to Turkey where he remains holed up in an island prison today in the Sea of Marmara) Turkish-Syrian relations than greatly improved as Turkey tilted away politically from the European Union and began renewing ties, particularly economic ones, in the lands that constituted its former Ottoman realm (as well as warming relation with the clerical regime in Iran as part of its “zero problems with neighbors” policy). 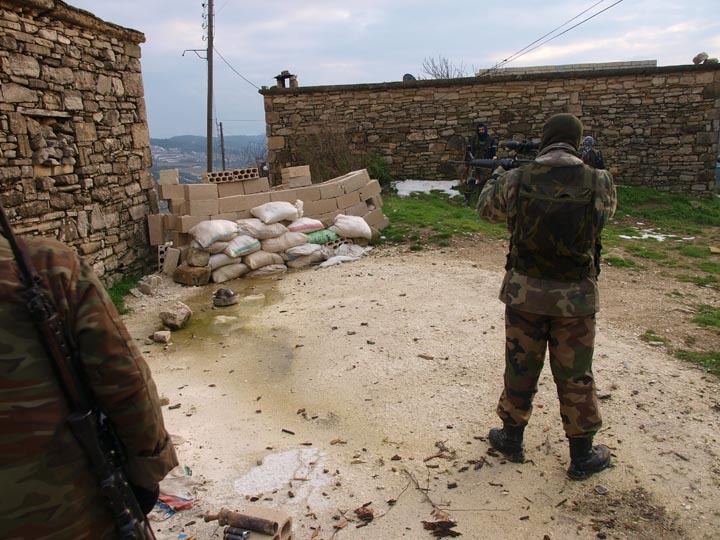 Turkey nearly mounted an invasion of Syria in the late 1990s under the pretext of attacking the PKK. Turkey has also had a long time military presence in Iraqi Kurdistan and parliament in Ankara recently renewed Turkey’s standing hot pursuit mandate whereby Turkish ground forces can enter Iraq when giving chase to PKK fighters. So Turkish troops moving into Syria en masse is not so unthinkable in the present scenario. Barcelona- I appeared on CNN today discussing some of my observations about my recent trip to Jebel Nafusa. Produced by Tim Lister in Atlanta. (CNN) — Six months and more than 17,000 air sorties after it began, NATO’s Operation Unified Protector in the skies over Libya grinds on. 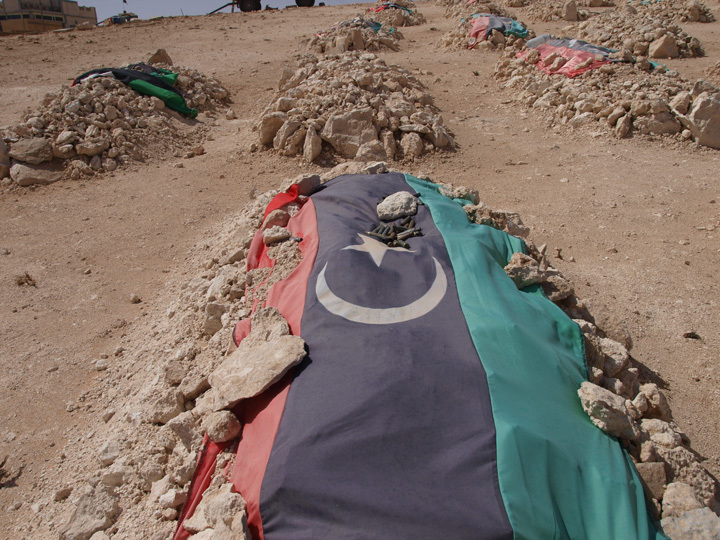 What was envisaged in March as a rapid engagement to prevent Moammar Gadhafi’s forces from razing Benghazi to the ground has evolved into a long slog. And increasingly NATO operations have dovetailed with those of the rebels — with the aim of making pro-Gadhafi forces incapable of offensive action. The initial mandate set out by the United Nations Security Council resolution 1973 was to protect civilians under threat or attack, to enforce an arms embargo on the country and implement a no-fly zone. 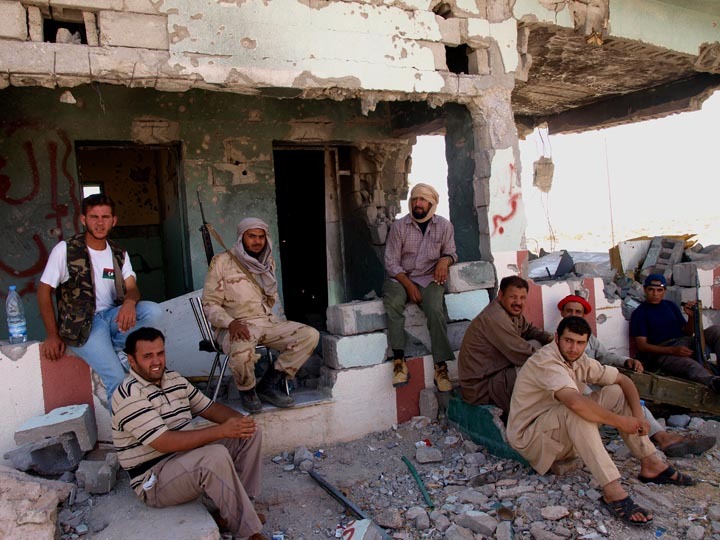 “What was initially supposed to be a neutral intervention to protect civilians that were threatened specifically in Benghazi has morphed into being largely a one-sided affair to support the Libyan rebel force to overthrow Gadhafi,” says Micah Zenko of the Council on Foreign Relations. But such missions are invariably close to areas where the rebels are trying to break through. 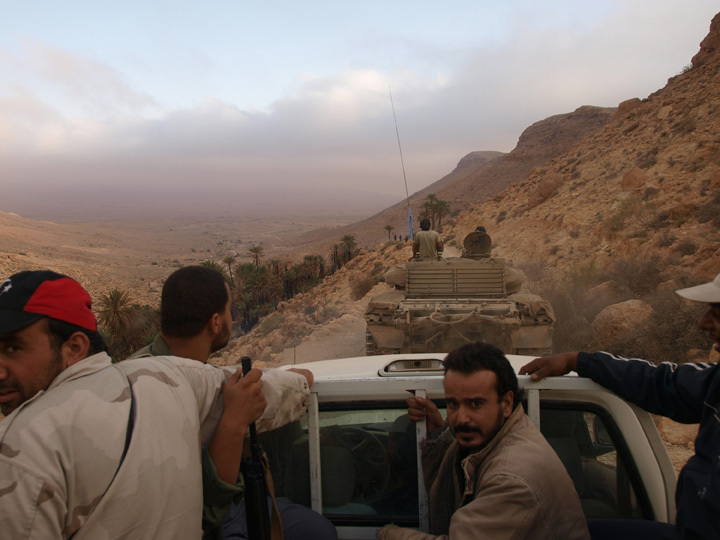 In recent weeks, sustained NATO strikes around Brega, Misrata and in the western Nafusa mountains have helped tip the military balance in the rebels’ favor, to the point that Gadhafi’s opponents have become reluctant to enter the fray until air power has softened up the enemy. Most recently, rebel efforts to take the vitally important town of Zawiyah, just 30 miles west of Tripoli, were preceded by several days of NATO sorties. NATO lists about a dozen “key hits” around Zawiyah in the past five days. The Royal Air Force also targeted a boat commandeered by several Libyan soldiers to get out of Zawiyah, but a statement said that “since it was clear from their actions that these troops continued to pose a threat to the local population, the RAF patrol engaged the ship,” which was destroyed. 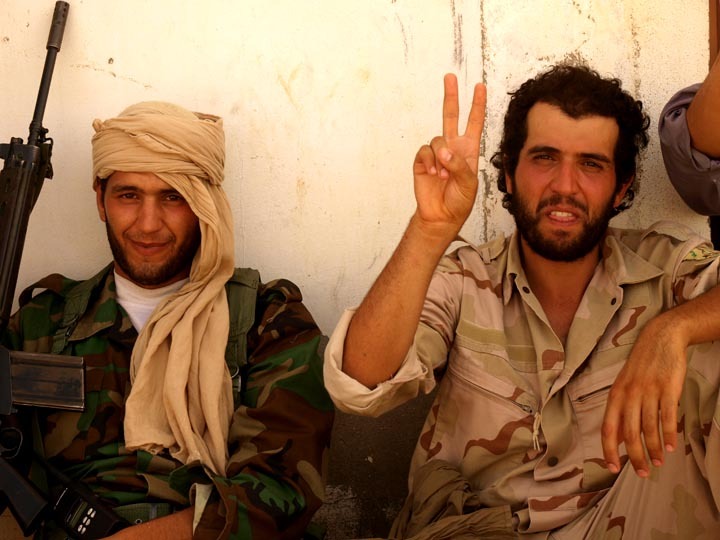 There appears to be growing coordination between NATO and rebel military commanders. Video footage emerged at the beginning of this month of a column of rebel tanks and pickup trucks, outside the city of Brega in eastern Libya, daubed with orange paint to distinguish them from government forces and ensure they weren’t erroneously bombed. In previous days, NATO planes had hit several pro-regime targets around Brega. On a fluid battlefield, where military assets are poorly marked and often hidden in civilian areas, NATO needs forward air controllers to help with targeting. “Western air forces don’t bomb without that direct ability to visualize the battlefield, especially when the regime has placed so many of its assets within civilian protected areas,” Zenko says. Zenko says such “allied information sources” may be retired special forces soldiers or military contractors. They are said to be in contact with a liaison office in rebel-held Benghazi, which passes on information to the NATO command center in Naples, Italy. NATO won’t comment on such arrangements. The arms embargo has been liberally interpreted by some, with Qatar and France supplying the rebels with weapons and military advice. Qatar is reported to have supplied the rebels with antitank missiles, flying them into Benghazi. And Derek Flood said he believes Qatar was also getting weapons to the rebels via the Tunisian border. In the western mountains “there was support on the ground from Qatari officials as well as Emirati officials,” he said. Tunisian officials deny weapons are crossing their border. Neither Qatar nor the United Arab Emirates have commented on such involvement. France acknowledged in June that it had air-dropped assault rifles and ammunition to Berber militia groups in the western mountains but said they were to help civilians protect themselves. At sea, NATO has operated a blockade — in accordance with U.N. resolutions — to prevent any resupply of Gadhafi forces. But in one instance in May a Canadian frigate stopped a rebel tugboat carrying howitzer rounds, ammunition and “lots of explosives” from Benghazi to Misrata. NATO commanders allowed the vessel to proceed on the grounds that it was moving from one Libyan port to another. More recently, there was the murky case of the oil tanker Cartagena, a vessel owned by the Libyan government but stranded at sea with 30,000 tons of gasoline since May. 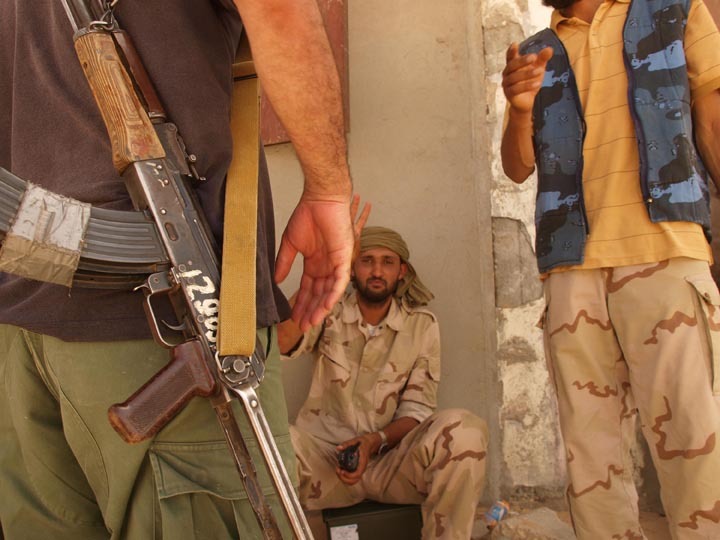 Rebels boarded the ship in international waters and diverted it to Benghazi with NATO permission. The unknown: Did the rebels have help in seizing the ship? It’s not the sort of operation they are used to. NATO’s mission has shifted in another way. After hitting more than 3,000 military targets — from ammunition dumps to tanks to radar and command-and-control facilities — there are not many more left. So it has turned to the regime’s infrastructure. The satellite dishes of Libyan state TV were bombed on the grounds that the broadcaster was being used to “incite violence.” The radar at Tripoli airport also was taken out, and the sprawling Gadhafi compound in Tripoli has been targeted several times. NATO officials say operations will continue for as long as it takes, though how long it takes to do what is an open question. NATO Secretary General Anders Fogh Rasmussen has said repeatedly that the conflict can only end with a political solution, but the outlines of such a solution are far from clear. Zenko says the goal from early on has been regime change, and the latest tactic is to try to cut off all economic and outside supplies to make it cease functioning. While the Libyan regime has lost access to much of the country and is losing critical routes to the east, west and south, Derek Flood says it appears to retain control of border crossings in the Sahara desert — from Algeria, Chad and Niger. The military balance has tipped in the rebels’ favor. 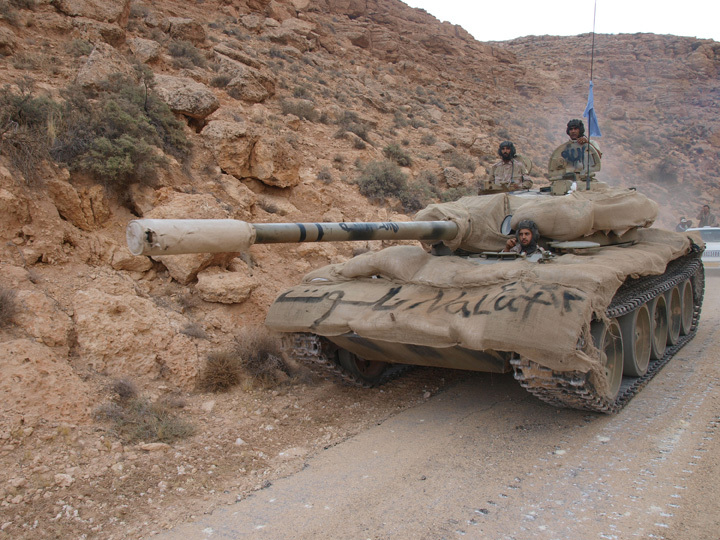 Flood says the capture by rebels of the important road junction at Gharyan 80 kilometers south of Tripoli can only further isolate the regime, cutting off fuel supplies from Algeria. Even so, it still controls large tracts of a vast country. NATO’s current mandate in Libya expires at the end of September. Its members may yet be asked to extend it once again. Nalut/Djerba- Well yesterday’s long promised rebel/NATO offensive against the nearby Qaddafists finally got underway and it was hell upon earth. The morning started out in a deadly quiet, still fog that obscured the Q controlled towns down on the plains below Nalut. Within hours it was like a baking hot Stalingrad. I have never heard nor encountered so much artillery in nearly a decade of war coverage. My driver and I visited a martyr’s graveyard in the middle of it all as I needed to make a diverse array of images for an upcoming photo essay when WHAM!! !, Grads starting falling in Nalut’s deserted center. I’ll have to save some of the juicier stuff for articles but what I can say is that I have experienced something like this since Takhar and Kunduz (remember the ‘Daisy Cutters’?) in November 2001. At one point we literally fled the town as rockets rained down, though plenty of aged Amazigh men seemed unfazed as they crouched in the shade, playing the odds, with nowhere to really go and the rest of their families in Tunisian refuge. We in the Nafusa had no clue about the death of Abdel Fattah Younes…and perhaps that was a good thing.